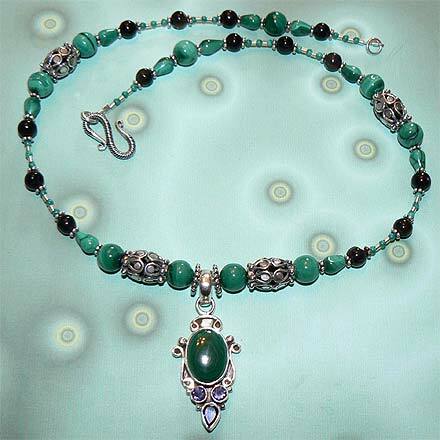 "The Other Side of the Blues"
Sterling Silver Malachite and Iolite Necklace. See Closeup. 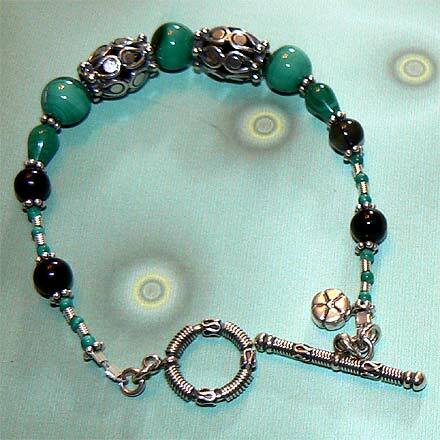 Sterling Silver Malachite and Iolite Bracelet. Well, this is a unique color combo! 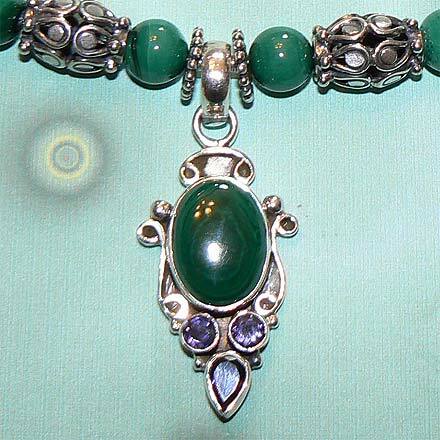 Malachite is just on the blue-side of Green, and Iolite is just on the blue-side of Violet. Very lush and summery, like a walk in a forest filled with purple flowers. The earrings are most unusual with set Iolite stones right on the wires! The necklace is 18¾" with a 1¾" pendant. The bracelet is 7.4".